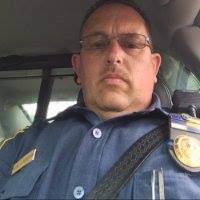 UPDATE: The officer in the bottom video has been identified as officer Mike Beidelman of Allentown police department(pictured below). Since publishing this information on our Facebook page, We have been receiving death threats from Mr.Beidleman's Daughter. NO not a re-run, or re-post, or even a re-hash article. Allentown police department has actually done new wrongs! It's been a few months since I posed the question to you all "can a department change?" Let me rehash quickly for any new readers that have never heard of this infamous police department. Allentown police have more lawsuits than they can handle from police misconduct and brutality. They have been the stars of several viral videos, including the famous "old man slammed on the ground for singing". This town can not even keep a police chief. They have been through a different one every year for about the last 5 years. But the strange thing about this department is not who has left but who is still there. Out of the massive number of lawsuits only one cop has been fired by Internal Affairs over the last 5 years for misconduct. Even Robert Busch (the cop that slammed the old man over the summer) is still employed. Not even transferred, as we have seen departments do when a dirty cop is exposed, but still in the same position wearing the same uniform. It not any wonder why these guys are so arrogant. They have to answer to no one for their misdeeds. They have no steady boss that will reel them in and the city council does not acknowledge a problem. I really had high hopes for the new Chief. He even took the time to meet with me to address some of our concerns a few months back. So I was eager to see what he was going to be about. Sadly he has shown himself to be a great person for the broken system. He is very good at getting his picture taken and being seen. He's friendly, approachable, and likable. Sadly hes also not doing anything about his cops misdeeds. It would seem they have decided to keep with the same system that was in place when he took over. Ignore any bad incidents and continue to take photos with kids and acting like you have a interest in your community. The broken system seems to have won. Here we see two incidents in the last week where the police were not only out of line, but actually broke the law. In the first video we see that after a night of filming police we (Copblockers and police) ended up at a 7-11 for a drink and a break. We were friendly and even gave our names as we would to any stranger without a badge, in an introductory way. We were met with hostility and even aggression. Then they shined their spotlight at Rick, of Allentown CopBlock, for no reason. To top off that encounter the Sergeant in charge of the officers was just as bad telling Rick he will be fine and to just blink a few times. I think it's a good thing to mention that Allentown police recently charged a person with shining a flashlight at them. The second incident was just last night. While Rick was walking home he came across a cop harassing some kids for playing on grass they were not allowed to play on (I feel so safe). Rick simply exorcised his right to film the encounter to help the kids not be bullied. The officer openly mocks Rick and refuses to identify himself. Then he taunts Rick saying "why don't you make a citizen's arrest" and even goes as far as to make fun of Rick's accent. This is exactly what we have been trying to show the public. These are nothing but a group of bullies that have zero regard for the public that employees them. I encourage you all to call the department and complain about this. I also encourage you to spread this story. This town has brushed too many incidents under the rug. Let them know we will not have it anymore!